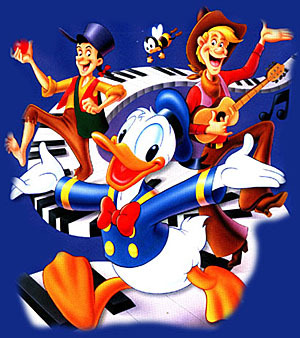 Pecos Bill's Disney Classic Songsheet. Next of Kin: Pack of Coyotes. One True Love: Sluefoot Sue. Trusty Steed: Widowmaker (Named as such because only Bill could ride him). Friends: Daniel Hackett, Paul Bunyan, and John Henry. Foes: J.P. Styles, plus anyone who insulted the Great State of Texas. Hobbies: Howling at the Moon. BALLAD OF PECOS BILL . You're working too hard . Put 'em together and what do you got? With a Heigh, Heigh Ho! Heigh Ho! Heigh Ho! I walked with you once upon a dream.. The gleam in your eye is so familiar a gleam. Up where the air is clear,! Oh let's go, fly a kite! All at onece you're lighter than air. Love's sweet music flows on. Down here all the fish is happy. My! Oh My, what a wonderful day. It's the truth! It's actual!